Hanoi (VNA) – Vietnamese music researchers have reacted heatedly to recent Chinese claim that Dan bau (monochord zither) is a traditional Chinese instrument and not Vietnamese. 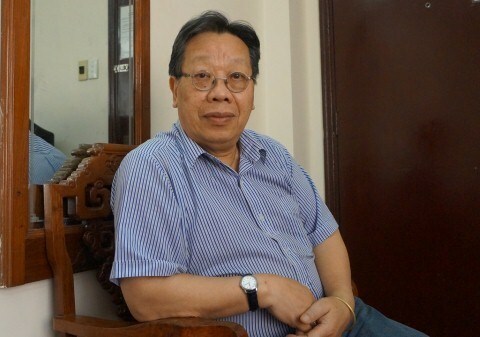 Vietnam News Agency’s Sports and Culture newspaper has published excerpts from works of music expert Professor - Doctor Tran Quang Hai on the origin of Dan bau. The following is the content of the article. Dan bau was mentioned in many historical documents, such as An Nam Chi Luoc (Historical Summary of An Nam), Dai Viet Su Ky Toan Thu (Complete Annals of Dai Viet) and Dai Nam Thuc Luc (The True Record of Vietnam History) of Vietnam, and China’s New Book of Tang and Old Book of Tang. According to those documents, Dan bau was created in Vietnam’s northern delta where the majority population is of the Kinh ethnic group. Kinh people then brought the instrument to Guangxi, China. Hoang Yen, who wrote the article “La Musique à Hue: Dan Nguyet et Dan Tranh” (Hue music: moon lute and plucked zither) published on Bulletin des Amis du vieux Hue (Bulletin of the Friends of Ancient Hue) in 1919, said Xam singers in the north introduced Dan bau to Hue in the central region in 1892 (Xam singing was originally the performance of ancient folk songs by blind beggars). They played the instrument to accompany their singing to mandarins and royals who loved its clear and melancholic sound. Between the end of the 19 th century and the early 20 th century, King Thanh Thai, a patriotic monarch when Vietnam was a French colony, was a devotee of dan bau, which helped the zither replace Dan tam (three-stringed instrument) in the then top five musical instruments. The other four were Dan tranh (plucked zither), Dan nguyet (moon lute), Dan ty ba (plucked string instrument) and Dan nhi (bowed string instrument). Dan bau debuted in Tai Tu music in 1930 when migrants from the central region moved to the south for new lands (Tai Tu music is the prototype for Vong co – traditional tunes – and Cai luong – reformed opera – of southern Vietnam. It is a part of the region’s traditional music that began about 100 years ago). At that time, Dan bau had a new name, “dan doc huyen” (one-stringed zither). Late Professor Tran Van Khe wrote descriptions of “dan doc huyen” in his dissertation in Paris in 1958 and in his book Viet Nam - Les Traditions Musicales (Vietnam – traditional music) published by Buchet/Chastel in 1967. I (author Tran Quang Hai) wrote about Dan doc huyen in the book Music of The World published by J.M.Fuzeau in 1994. In her PhD dissertation at the Paris-Sorbonne University-Paris 4, Musician Quynh Hanh, a member of the Hoa Sim band founded in Sai Gon in 1960, included the use of dan bau as a therapy for mental illness. In recent years, Dan bau has appeared on stages in China. An article was published on the China Daily website about a Chinese traditional festival, with a photo by Xinhua captioned “hundreds of Kinh ethnics play one-stringed zither together”. The article said the Kinh ethnic minority migrated from Vietnam to China about 500 years ago, and now the group has a population of approximately 22,000. 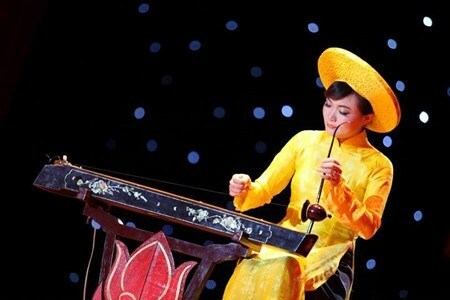 China has sent musicians to Vietnam to learn the zither and invited experts to write about the instrument, which is very popular among Kinh people in the country. Among the experts there was Sun Jin who did a doctoral thesis on Dan Bau at the Vietnam Music Academy. Musician Do Loc said a Vietnamese art troupe came to Beijing to perform in 1967, with Duc Nhuan playing dan bau. Nhuan’s performance enthralled audiences, and a Chinese artist requested to follow the troupe during their Beijing tour to learn about the zither, he added. According to Dan bau artist Nguyen Tien, he had a talk show and performed with the instrument at the Guangxi Academy, China, in late 2013. The academy had a faculty teaching dan bau. Experts said the teaching of dan bau in China only started nearly 20 years ago, while the instrument is seen across Vietnam and taught at three national music academies in Hanoi, Hue and Ho Chi Minh City. There are several types of one-stringed musical instrument all over the world, including China’s Du Xian Qin, Japan’s Ichigenkin, India’s Gopi Yantra and Cambodia’s Sadiou. None of them produces harmonic tones like Dan bau. China’s claim that Dan bau is its traditional instrument is similar to its earlier moves to take other countries’ heritage as its own. In 2009, China submitted to UNESCO a proposal asking for recognition of Khoomii (Mongolian overtone singing) as an intangible cultural heritage of China. The proposal met with strong protest from Mongolia, which made clear that the singing originated in northwest Mongolia, not in Inner Mongolia as China claimed. In 2010, UNESCO recognised Khoomii as intangible cultural heritage of Mongolia.